Robin A. Robinson is a Professor of Sociology in the Department of Sociology and Anthropology and Coordinator of the Community Engaged Research Initiative, University of Massachusetts Dartmouth, and Resident Scholar at the Brandeis University Women’s Studies Research Center. She holds a PhD in Social Policy from Brandeis University and a PsyD in Clinical Psychology from George Washington University. Her research combines psychoanalytic theory and critical and feminist criminologies in the study of trauma, criminality, and social control of women and girls, contemporary and historical. 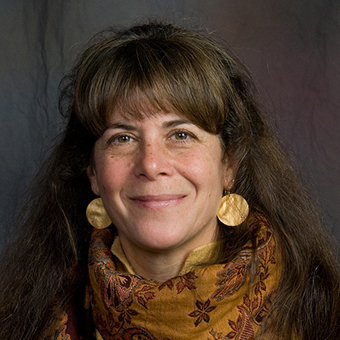 Deeply committed to scholarship and praxis, she has also received many grants in support of research and scholarship in areas such as vicarious trauma and anti-violence workers, girls and violence, mental health in social context, and teen relational violence, to combine theoretical research with extensive community engagement. Robin is currently a Fulbright Research Scholar at Országos Kriminológia Intézet/National Institute of Criminology of Hungary in Budapest, where she is conducting research on sexual violence in Hungary. She is a Research Fellow at the University of Glasgow, Scottish Centre for Crime and Justice Research, where she and her colleagues there have just completed the first stage of research that examines vicarious traumatization amongst service providers who work with incarcerated women and girls. Other visiting research appointments have included the Simon Visiting Professor at the University of Manchester School of Law; University of Cambridge; Institute of Criminology; Visiting International Scholar at the University of Uppsala in Sweden; the Mary Lily Research Grant from Duke University's Sallie Bingham Center for Women's History and Culture; and others. ‘Trafficked’ Young Women in Colonial America: A Psycho-legal Hypothesis Concerning Gender Violence. This project establishes the claim that convicted British young women were trafficked as reproductive labor in the British colonial economy, promulgated in America in the late 17th C and throughout the 18th C until American Independence. Case studies developed from primary sources and public records bring to life this very much forgotten chapter of British-American colonial and women’s history. The Fulbright research,“Beyond Obstacles, Toward Justice for Victims of Sexual Violence in Hungary”, examines responses to sexual violence amongst legal professionals and others in Hungary, including judges, prosecutors, police, victim services providers, first responders, and non-governmental organizations. Robinson, R. A. (2011). ‘Since I couldn’t get out of my own skin’: What would a feminist, psychoanalytic perspective of crime and justice look like? In DeKeseredy, W. & Dragiewicz, M. Handbook of Critical Criminology. Routledge. Pp. 194-208.